Elephants are the intelligent and largest land mammal on the Earth. They are very famous for their long trunk and curved tusks. They are very intelligent animals, they are able to use tools and can be taught to do a certain work. Many folk tales remember the elephants as “the animal that never forgets”. There are two types elephants; African elephant and Asian elephant. Elephants are known for their distinct features, which are the large trunk, curved tusks, large ears, and wide legs. Elephants can grow to a size of 11 feet high and can weigh as much as 6000 kg (13,000 pounds). African elephants are the much larger than Asian elephants with larger ears and tusks. They have dark gray color with wrinkled skin. Whereas, Asian elephants have gray and brown colors with less wrinkled skin. The skin of elephants can grow about 1 inch thick. Elephants are herbivores (plant eater). They eat leaves, roots, fruits, grasses, and the barks of the trees. They use their trunk to break the branches of the trees for eating. Sometimes they completely destroy the tree which they are eating. An average elephant can eat about 300 pounds (140 kg) in a day and can drink as much as 30 gallons of water. Two species of elephants are found across the African and Asian continents. They mostly prefer forests and live around ponds, because they often need to bath to cool their bodies during the day. 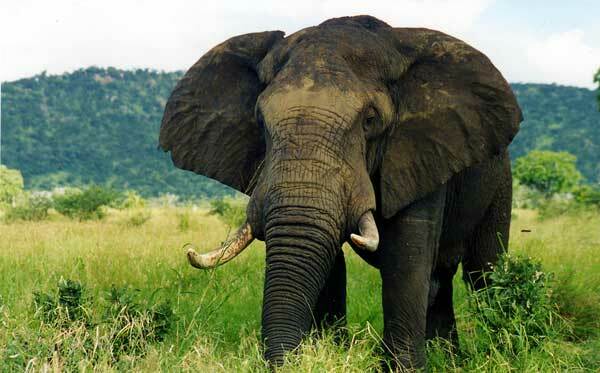 Elephants are also found in savanna deserts. These elephants have special adaptions which help them to survive the dry deserts. 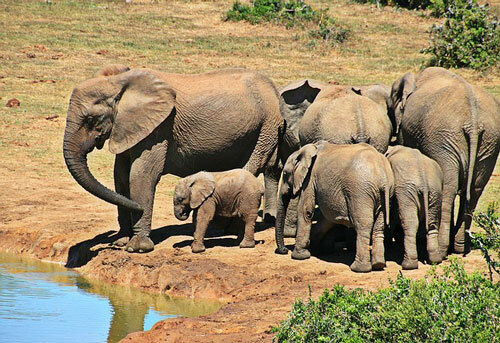 In 2008, the International Union for Conservation of Nature (IUCN) declared the elephants as endangered species. The number of elephants was decreasing rapidly due over hunting for their ivory tusks. But after the ban, hunting of elephants is controlled to some extent. Scientists think that there were 350 species of elephants before the last Ice age, but today only 2 species are alive. Elephants have very good memory. They remember the passed away family members and the location of the water. Elephants use their long ears to cool their bodies. 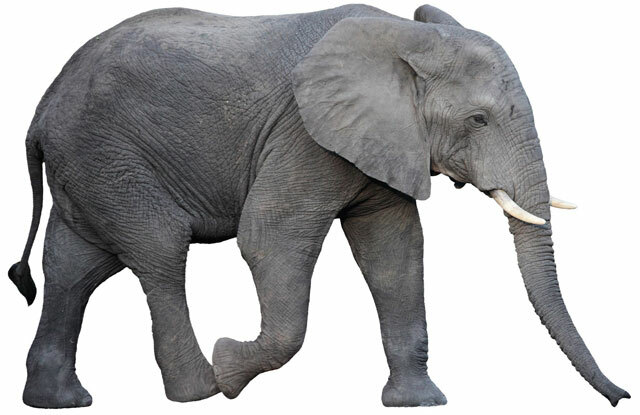 Abdul Wahab, "Elephant," in Science4Fun, April 13, 2019, http://science4fun.info/elephant/.